Resolving Disputes Outside and Inside the Courtroom. When faced with a divorce, you will encounter a variety of complicated legal issues: Who will keep the house? Where will our children live? How will we divide our credit card debt? While some couples can resolve these issues through peaceful discussions, others may face resistance, heightened emotions and litigation. Regardless of your individual circumstances, one thing remains the same at this crucial time — your need for an experienced and skilled Naperville divorce lawyer and family law attorney. At the Law Office of Ronald L. Hendrix, P.C., our Naperville family law attorneys provide strong divorce representation to clients throughout the Greater Chicago land area. Under the direction of lawyer Hendrix, we have established a reputation for our efficient and favorable results in negotiation, collaboration, mediation and at trial. Focused exclusively on family law: All day, every day, family law is all that we do. We have an in-depth knowledge of the complex laws that dictate every aspect of divorce, including those surrounding child custody, child support, property division and alimony. Trusted experience and proven results: Backed by more than 25 years of experience, attorney Hendrix is highly recognized for his superior negotiation skills and effective guidance through divorce mediation and collaborative divorce. He is also well-known for obtaining legal victories in the courtroom when peaceful resolution attempts break down. Candid and practical advice: As your legal counsel, we will clearly explain how the law applies to your unique circumstances and provide realistic options for advancing your case. While we may not always tell you what you had hoped to hear, it will always be with your best interests in mind. Personal attention and superior client service: As a smaller law firm, the personal touch is very important to us. While your matter will be handled directly by lawyer Hendrix, our entire legal staff makes it a priority to get to know you, your family, your goals and your concerns. 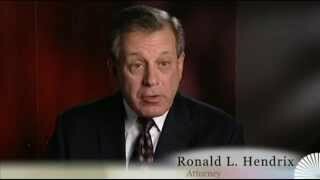 We provide regular status updates, and attorney Hendrix is prompt to respond to your emails and phone calls. During a divorce, the Law Office of Ronald L. Hendrix, P.C., provides the experienced representation you need and the personal attention you deserve. Contact us at 630-416-7004 to speak with a dedicated Naperville family law attorney. Representing clients in Oswego, Wheaton, Plainfield, Bolingbrook, Aurora, DuPage County and Will County Illinois.